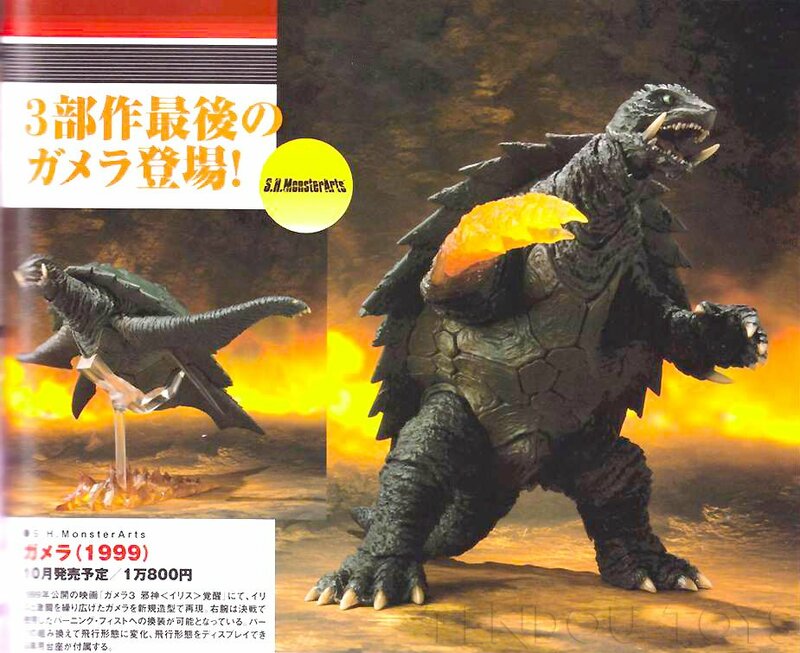 Yesterday, we shared a magazine scan showing an upcoming Gamera 3: The Revenge of Iris (1999) – S.H. 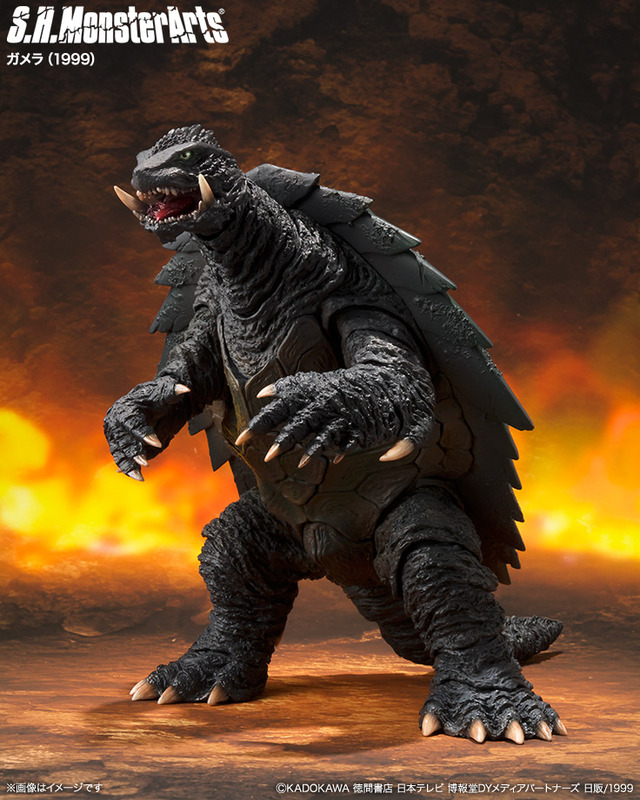 MonsterArts Gamera Figure. 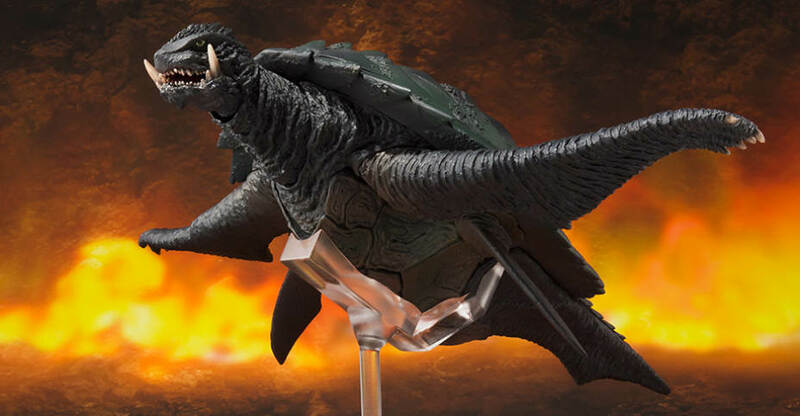 Now Tamashii Nations has shared a few preview photos of the upcoming Gamera figure. It was part of their preview for items coming in October and Novemeber 2018. 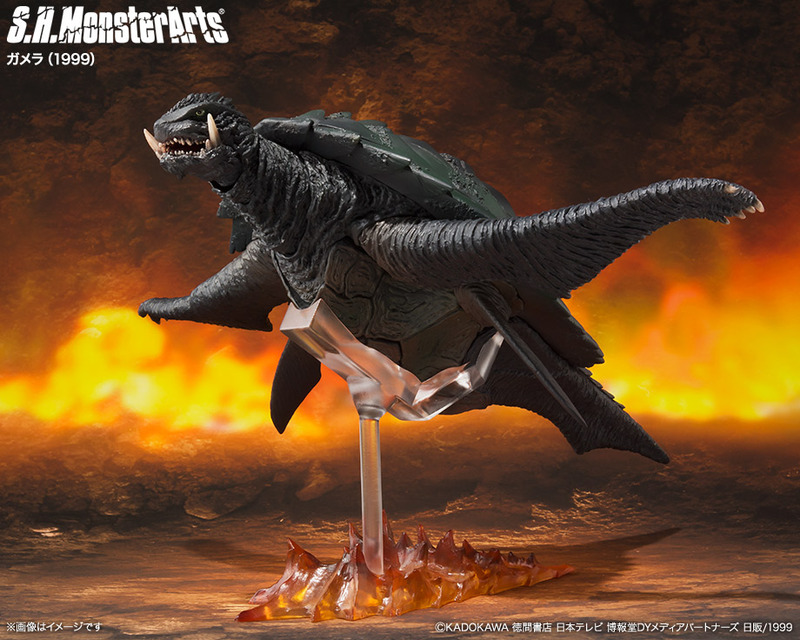 The figure includes his flaming fist as well as the flight parts and stand. 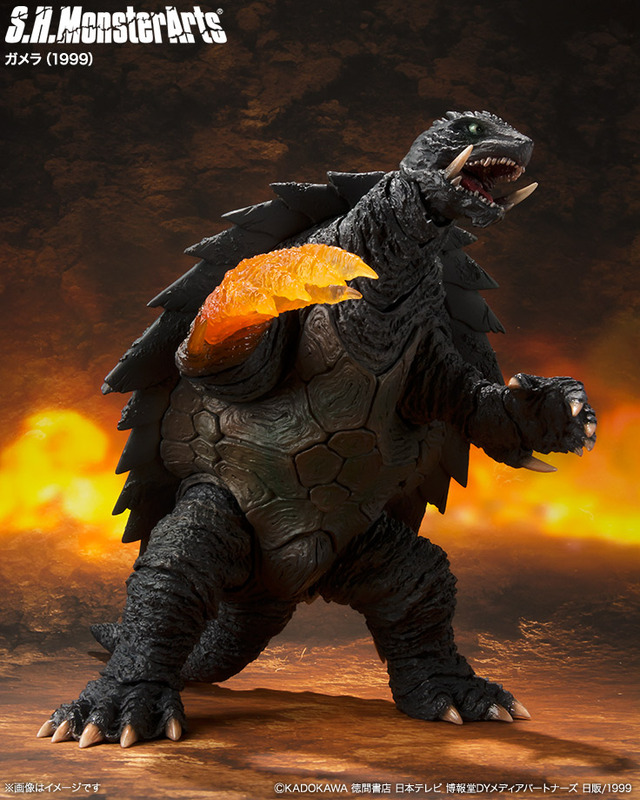 We’ll update with more official images and full details once they become available.